Now is the time to own a fine Rolex, Cartier, Patek Philippe you've been dreaming of at very attractive prices. We provide original boxes and full in-house warranties. As providers of top quality and service to the better national and international merchants and private collectors. WatchesandWatches.com is the name you'll come to trust as an authority on fine jewelry and desirable timepieces. Watches and Watches' vast inventory as well as our ability to locate that rare watch you've been searching for, enables us to keep our prices among the lowest in the industry. Every fine pre-owned watch is completely restored to its original condition as needed, by our experienced and talented watchmakers. We only use the services of the finest watchmakers available. 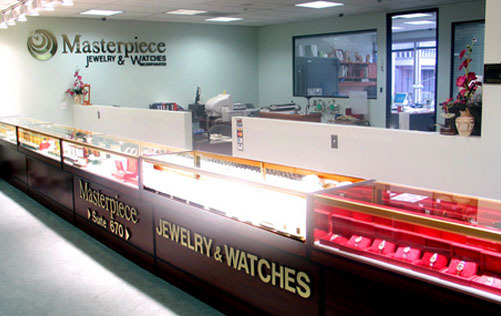 WatchesandWatches.com is a family-owned business that's been in the watch & jewelry trade for many years. WatchesandWatches.com is proudly listed with the Jewelers Board of Trade (JBT) and International Jewelry and Watch Guild (IJWG), and Watch & Clock Association. WatchesandWatches.com is also proud to be a recognized eBay PowerSeller, with guaranteed 100% positive feedback rating. In just span of time, WatchesandWatches.com has served countless satisfied customers not only across United States, but also across the globe reaching Canada, Europe, and Asia.